Contrary to widespread beliefs the USSR was neutral throughout the Indo-China border conflict, the Soviet position evolved from a position of neutrality to a brief tilt towards China and then switched to open support for India. 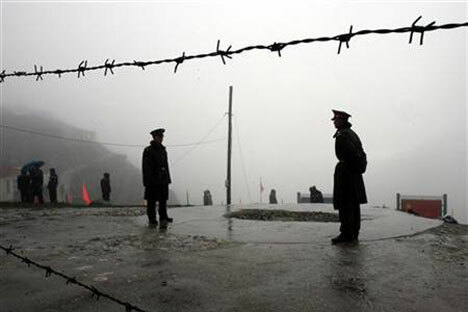 The Indo-Chinese border clash took place at a time when ideological differences between the former Soviet Union and China were approaching their peak. While scholars mostly agree that the territorial dispute as well as the situation around Tibet were the main causes for the clash, new materials suggest that Chinese aggressive behavior had a deeper and a more serious motive on part of Beijing. China had calculations to drag the Soviet Union in some way to the Indo-Chinese conflict in order to expose “Soviet Revisionism” through this clash and a score a point against Moscow in the burgeoning ideological conflict between the two communist giants. China as a whole had expected Soviet support for its action against India which was, in Beijing’s view, was contemplating a hidden alliance with USA against it and sought to “expose ideological hollowness of Moscow’s support to India.” China had expected that Moscow’s support in favour of the socialist state against a bourgeois state would deliver a heavy blow to the growing Indo-Soviet friendship. Towards end of 1950s, in spite of serious differences between the Communist parties of Soviet Union and China over a wide range of issues, the leadership of both parties tried to demonstrate semblance of unity on the surface. However, in August 1959, when the Longju incident in the eastern sector of the India-China border took place, Moscow, having expressed solidarity with Beijing during the suppression of the uprising in Tibet in early 1959, refused to extend support so unequivocally to China. The Soviet stand on Indo-China border dispute was reflected in two documents-the TASS report dated September 9, 1959 and Soviet Prime Minister’s Report on the “International situation and the foreign policy of Soviet Union” placed in the Supreme Soviet on October 31,1959. These two documents clearly suggest Soviet leadership was keen to see that the hostilities between India and China did not escalate and had maintained a position of neutrality in the beginning of Indo-Chinese conflict. There were several reasons why Khrushchev could not accept Mao’s views on Indo-Chinese ties. He rejected the Chinese view point that the Indo-Chinese conflict was an important issue of class struggle on an international scale that calls for support of Chinese actions from fraternal Communist parties. Khrushchev who had initiated and championed Indo-Soviet friendship and was associated with the beginning of Sino-Soviet ideological confrontation interpreted the Indo-Chinese border incidents in his own way. For Khrushchev, Nehru was an invaluable asset in his global strategy of peaceful co-existence and peaceful competition with the capitalist world. Khrushchev had floated the peaceful co-existence and peaceful competition strategy in the historic 20th CPSU congress held in 1956 and was experimenting with the concept in case of India. Implementing this strategy that was not to the liking of Chinese leadership, Khrushchev had heralded a new era in the history of Indo-Soviet relations. He obviously could neither risk nor sacrifice Soviet friendship with India for China’s whimsical ideological moorings that denounced India’s non-alignment policy in which Soviet Union had discovered a virtue. Khrushchev was no less concerned about the fact that Indo-Chinese border conflict created a precarious situation for Indian communists and worsened the position of Communist Party of India. New materials suggest Chinese adventurists were least bothered about the perspective of struggle of the revolutionary forces in India and the Communist Party of India was an object of constant attack by Chinese propaganda starting from 1959. Finally, the Soviet leadership was afraid that China’s bellicosity towards India would have an impact on the Sino-Soviet boundary issue. In this connection it is interesting to note about the report sent by Soviet Foreign Ministry on Sino-Soviet boundary to the CPSU leadership. The very drafting of such a document suggests that some Soviet officials had already foreseen the danger of border problems with China. In this connection it is interesting to draw attention to another document – a report dated December 18, 1959 drafted by Mikhail Suslov, CPSU ideologue in charge of relations with fraternal communist parties about the visit of Soviet party and government delegation led by Nikita Khrushchev to China in October 1959. The document recalls that Suslov after criticising Beijing’s actions in exacerbating international relations, Mao’s thesis that imperialists were paper tigers, China’s cavalier attitude towards nuclear war addressed Sino-Indian relations and the border clashes at Longju and Kongka in 1959. Suslov is quoted as berating the Chinese for the May 1959 People’s Daily article under the title “The Revolution in Tibet and Nehru’s Philosophy” in the document. Suslov then goes on to ask “what objectives did Chinese comrades pursue in attacking Nehru so uncompromisingly?” Suslov ridicules a view expressed by his Chinese interlocutors which visualised the possibility of the downfall of the Nehru government and saw no great trouble if a reactionary pro-Western government came to power in India because that would bring closer a revolution in India. Suslov notes that CPI General Secretary Ajay Ghosh also admitted his inability to explain China’s position on McMahon Line or why the PRC was letting itself to be pulled by “Indian reaction into the border conflict. Suslov then goes on to describe Chinese actions as directed not only against India but also against the USSR, since they embarrassed Khrushchev on the eve of his own long –awaited Summit with President Eisenhower in USA. Suslov report too gives an account of the discussions on India at Khrushchev’s summit meeting with Mao on October 2, 1959, where all the members of the Standing Committee of the Politburo of Chinese Communist Party were present. The Suslov report says that Khrushchev “told the Chinese comrades that we do not completely understand their foreign policy, particularly with regard to India …The Soviet leader complained that as China’s ally the Soviet side did not know what the Chinese may undertake tomorrow in the area of foreign policy…The Report says that that the Chinese side in their reply claimed that their line towards Nehru was correct adding that” at times the tone of our discussion became quite sharp. It came to the point when Chinese Foreign Minister Chen Yi claimed that our line on Nehru is opportunistic and the policy of China is more firm and correct. “We gave a resolute rebuff to these pronouncements, writes Suslov, without providing any details. A careful reading of the report would indicate that Beijing’s policy towards India was putting the Soviet leaders in an impossible dilemma – either to support what they believed as Mao’s adventurist actions for the sake of an increasingly illusory Sino-Soviet alliance undermining Moscow’s growing ties with India and the West or to take a balanced stand at the risk of an open split with Chinese leadership. The Soviet approach to the Chinese invasion of India in October 1962 was in the beginning reflected in CPSU mouthpiece ‘Pravda,’ dated October 25, 1962 which said “Soviet people hold the firm view that in the present situation, the main thing is to stop the fighting and start talks on peaceful resolution of the conflict… Such a decision would correspond to the interests of both Indian and Chinese people and would serve the cause of preservation of peace and in Asia and in the whole world. However, the Chinese leadership ignoring this appeal continued their invasion. That the tilt was temporary became clear from Khrushchev’s statement to the Supreme Soviet in December 1962, when he reverted to a position of neutrality on the Indo-China conflict and ordered the release of MiG fighter planes. As the Cuban missile crisis subsided, Moscow slowly but surely started supporting India in its conflict with China. Kaul in this context writes, “As further time went by and India showed a spirit of determination to resist China’s aggression, the Soviets were impressed. Their attitude became more sympathetic to India, both in their public statements and even more so, in their private conversations.” This was the first time in history that a socialist country supported a developing country in its fight against another socialist state. This snowballed Sino-Soviet differences, which gradually came out in the open. As Khrushchev confided to Kaul, one of the reasons for differences between China and Soviet Union was Soviet friendship with India. The Soviets never wanted the Sino-Indian conflict to escalate and advised both sides to find a peaceful political solution to the border dispute through negotiations. They were also watching how India would emerge from the conflict and how China and the West would react. The declaration of ‘unilateral cease-fire’ by China was in Soviet eyes a recognition by China of India’s unity and potential strength, the realisation by China of India’s unity and potential strength, the realisation by China that she had gone too far and had extended her lines of communication, without being able to support them. They were expecting India to go down on its knees and beg for peace. When this did not happen and they saw the unity and determination of India to resist, they made a virtue out of necessity by declaring an unilateral cease-fire. Ambassador Kaul in this context writes in his memoirs that as told by Soviet leaders, they were impressed by India’s determination not to give in to the aggressor. The Soviets, perhaps, had under-estimated India’s potential, at first, but were impressed with Nehru’s adherence to the policy of non-alignment. They also saw the attempts of the West to turn India against them and India’s refusal to do so. Both India and the Soviet Union found common ground in the danger from the Sino-Pak axis which would pose a threat not only to India, but also to the Soviet Union’s southern underbelly. Pakistan had already joined US-propped military alliances like SEATO and CENTO, and India had refused to do so. The Soviet Union realised that a strong, stable, non-aligned India, friendly to the USSR, is important for Moscow’s own security. This turned out to be the time when Delhi and Moscow laid solid foundations for a meaningful and productive defence cooperation that now constitutes one of the major pillars of their special and privileged strategic partnership. Prime Minister Nehru had appealed the US leadership for military assistance which did not come forth. The Soviet Union showed readiness to fill the critical gaps in India’s defence, which was widened by US-Pak alliance. Thus Soviet stand on Indo-China conflict that evolved from a position of neutrality to a brief tilt in favour of China and then to open support for India, both politically and materially was very significant. This was the first instance when a communist country supported a non-communist country in its conflict with another communist state. The conflict was a serious test of India’s non-aligned policy that stood the test of time. It was established that non-alignment does not mean maintaining equidistance and spurning friendship of a neighbour who might be ideologically different but has commonality of interests with us. For the Soviets, it was a vindication of Khrushchev’s strategy of peaceful co-existence with the non-communist world that was not approved by China. The writer is a professor at the JNU School of International Studies and heads the New Delhi-based Eurasian Foundation.